Battling acute bronchitis? Unless you’re really lucky, you’ll have to let it run its course. Follow this common-sense advice to get through it as quickly as possible. Anyone who's experienced acute bronchitis knows the feeling of inflamed bronchi in the lungs What is acute bronchitis? 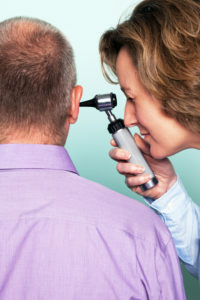 It's the "swelling and inflamed tissue in the main passages that carry air to the lungs," as explained at MountSinai.org. "This swelling narrows the airways, which makes it harder to breathe. Other symptoms of bronchitis are a cough and coughing up mucus." Which would you rather have—a head cold, or a chest cold? Pick your poison, right? A head cold can take you out of play for a few days, thanks to all the typical symptoms—sinus congestion, clogged ears, watery eyes, a runny nose, chapped skin on your face from all the nose-blowing, and an overall run-down feeling. On paper, a chest cold may not seem as bad, but let’s call it what it is: acute bronchitis. Like a common cold, it can knock you out of your routine for a few days; at worst, it can progress into pneumonia. What exactly is acute bronchitis? In short, according to the American Lung Association (ALA), it’s a “form of lower respiratory tract inflammation affecting the air tubes (bronchi) of the lungs.” While acute bronchitis may start as a head cold or throat irritation, it’s ultimately characterized by those inflamed primary and secondary bronchi. A case of acute bronchitis usually hits suddenly. In some cases, it can come and go in three days, as long as you aren’t suffering from another lung disorder as well. (See What Is COPD? Explaining Chronic Obstructive Pulmonary Disease.) But it also can endure for 10 days to two weeks, with some symptoms lingering even beyond that time frame. Whether you call it a chest cold or acute bronchitis, the result is the same: Irritated bronchial tubes, or airways, fill with mucus, causing frequent coughing and difficulty breathing. The need to constantly expectorate also can cause sore, aching muscles. A bacterial infection also can cause acute bronchitis, but it’s rare, occurring in less than 10 percent of acute bronchitis cases. Either way, it’s nothing to take lightly. In fact, acute bronchitis is sometimes diagnosed as pneumonia. With pneumonia, however, you’re “more likely to have a high fever and chills, feel sicker, or be more short of breath,” as reported at MountSinai.org. A chest x-ray can help distinguish between the two. When piled on top of each other, those half-dozen symptoms can leave you exhausted and out of commission. While acute bronchitis usually results from a cold or flu virus, chronic bronchitis is characterized by “recurring bouts of airway inflammation accompanied by a persistent cough and phlegm production,” according to Science Daily. 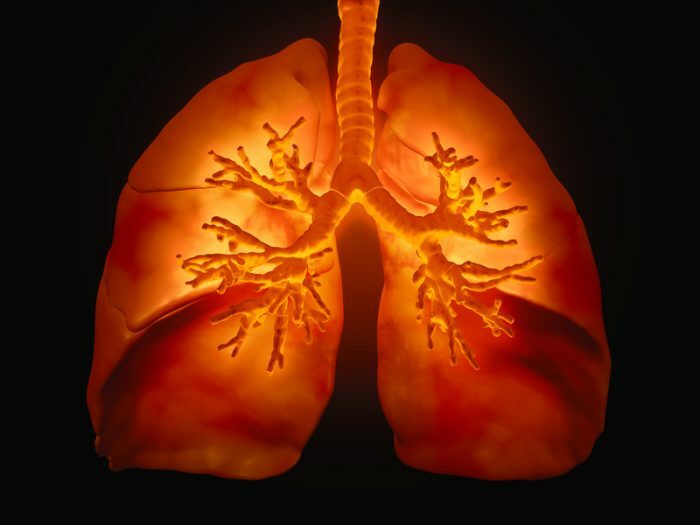 “Although chronic bronchitis has a variety of causes, by far the most common is smoking.” For more, see our post What Is Chronic Bronchitis? The good news is that in most cases, acute bronchitis will resolve on its own with at-home treatment. There’s no silver bullet—medical experts typically cite six acute bronchitis treatment strategies, most of which you’ll recognize as measures to take for common cold and flu treatment. Get plenty of rest. That means you may need to pull yourself out of work (or school) for anywhere from a few days to several days. Drink plenty of fluids. Staying hydrated is key; keep the water and tea coming. The chicken soup that seems to make you feel better counts toward your fluid intake. Alcohol and caffeine, on the other hand, aren’t recommended while you’re battling bronchitis. Give yourself some OTC relief. To get through the day and night, you may benefit from over-the-counter cough expectorants and a pain reliever. According to MountSinai.org: “Certain medicines that you can buy without a prescription can help break up or loosen mucus. Look for the word ‘guaifenesin’ on the label. Ask the pharmacist for help finding it.” Guaifenesin thins out the mucus stuck in your airways. Also, get pain relief from ibuprofen (Advil, Tylenol), acetaminophen (Tylenol), or, if you’re not taking other blood-thinning medications, aspirin. “Steam” it out. As the congestion in your chest takes hold, you’ll find yourself wanting to just breathe normally, without that rasp. Try breathing in steam from a bowl of hot water or in a hot shower. Use a clean humidifier or cool mist vaporizer. You’ll likely find that the night-time coughing will make it difficult for you to sleep. Using a humidifier or mist vaporizer will allow you to breathe in moist air and may help you get some shuteye. Avoid lung irritants. Don’t smoke and don’t subject yourself to second-hand smoke. Do stay clear of pollution and irritants such as cleaning chemicals or paint with strong fumes. Consider a natural remedy. Both honey and ginger have proponents as sources of relief from acute bronchitis symptoms. Honey is known to soothe inflamed mucus membranes, so it’s worth adding to your tea or toast. Ginger also can help. Research suggests that “distinct ginger compounds could be used as anti-inflammatory drugs in respiratory infections,” according to Phytotherapy Research. What if you can’t shake symptoms of acute bronchitis even after two weeks? And what if additional symptoms—a fever, for example—take hold? At that point, you should see your doctor for an evaluation. He or she will conduct a physical examination, reviewing your medical history. “The doctor also may order a blood test to look for signs of infection or a chest x-ray to see if your lungs and bronchial tubes look normal and [to] rule out pneumonia,” according to the National Heart, Lung, and Blood Institute (NHLBI). As a lifelong Green Bay Packers fan who happens to live in New England, nothing was going to keep me from attending the Packers/Patriots NFL game in early November 2018. Nothing, that is, except the worst case of bronchitis I’ve ever had. 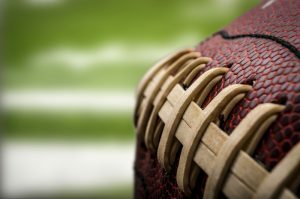 A bad case of acute bronchitis meant no Sunday night football game in New England for our editor. It started with that scratchy tickle in the throat, which (for me) signals a developing chest cold, a.k.a. acute bronchitis. That’s exactly what happened this time: constant coughing, the noisy rasp with every breath, and the feeling that my whole respiratory system had been invaded by mucus. So… no football for me. Sitting among 65,000 “enemy” Patriots fans on a chilly Sunday night and hacking and snorting for four hours suddenly was not an option. It certainly was. As the Centers for Disease Control and Prevention (CDC) puts it, the classic symptoms of chronic bronchitis include a cough that keeps you up at night (in my case, it was more than a week’s worth of nights) along with soreness in the chest, a mild headache, overall body aches, a sore throat, watery eyes, and a fatigued feeling. If you’ve had acute bronchitis, you know the feeling. 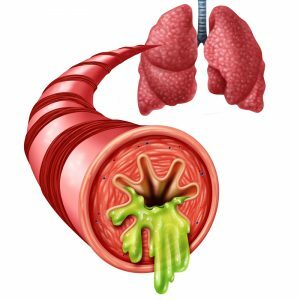 The airways of your lungs have swollen and are producing mucus, forcing a constant cough. The sleeplessness typically caused by non-stop coughing can make the duration of your acute bronchitis seem longer than it actually is. In fact, it can end up lingering for more than two weeks, even if you’re adhering to the treatment described on this page. For me, symptoms gradually subsided, but all the while, I wondered (as you perhaps can relate) how I got bronchitis. It actually can arise from exposure to tobacco smoke, dust, fumes, and air pollution, but you’re more likely to get it from a virus. Yes, acute bronchitis is contagious. It most commonly comes from being in close contact with someone who already has it, or who has a cold. Typically, the source is a mystery. Was it the woman who sneezed in your direction at the checkout line? The hacking kid in your carpool? The germ-infested gas pump handle you gripped for several minutes? So it helps to follow the rules of avoiding cold and flu viruses: Wash your hands frequently; avoid touching your eyes, nose, or mouth; eat a healthy diet; exercise regularly; and don’t smoke. Read our full list in Common Cold and Flu Prevention: 15 Tips to Keep You Healthy. alcohol, anti inflammatory, anti inflammatory drugs, antibiotics, bacterial infection, bronchitis, caffeine, children, chronic bronchitis, chronic obstructive pulmonary disease, cold and flu, common cold, copd, dangers, diet, ears, exercise, fatigued, flu, flu treatment, ginger, healthy diet, honey, infection, inflammation, mild headache, mucus, natural remedy, obstructive pulmonary disease, pain, pain relief, pneumonia, pulmonary disease, runny nose, second hand smoke, sinus, sinus congestion, skin, sleep, smoking, sore throat, tobacco, vaporizer, virus, what is chronic bronchitis, what is copd, wheezing, your lungs.